Finding a nanny is hard. Finding a good nanny is harder. And my family and I have experienced it first hand. But just like any employee, if we find a good one, we take care of them. Not only do we provide them with the care that they need, since they are under our protection, we – as their employers – also need to invest in them for them to enhance their skills. Besides, we are the ones who will benefit from it in the first place, right? 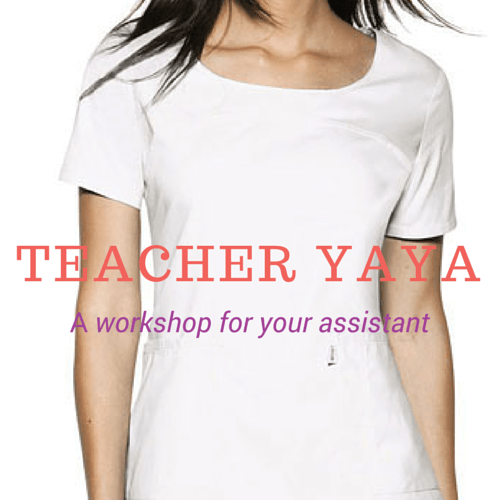 So when I saw The Learning Basket’s workshop for nannies entitled: “Teacher Yaya: A Workshop For Your Assistant“, I got excited and checked it out immediately. The topics may seem to be very basic but believe me, even if we tell this to our nannies, I agree that it is still better when they hear these things from someone else. It gives them an unbiased information and would make them realize that is right. That night, I asked her how it was. She said it was okay, it was good. She was surprised that there were a lot of attendees. Then she went on to tell me that she met another nanny who was sent by her employers to the venue through Uber and was having a hard time figuring out how to go back home. 🙂 She and my nanny tagged along until they got to the MRT station. LOL! It’s been almost a week since the workshop and every now and then, Z’s nanny would say, “we were taught in the workshop that…” and would relate whatever she learned with what Z is currently doing. It is really nice to hear that Z’s nanny learned from the workshop and is currently applying whatever she learned as well. I am glad to have decided to send Z’s nanny to the workshop as it is having a positive impact on her as well. The Learning Basket (TLB) is a parenting resource hub that inspires parents to be hands-on with their children’s development and learning. 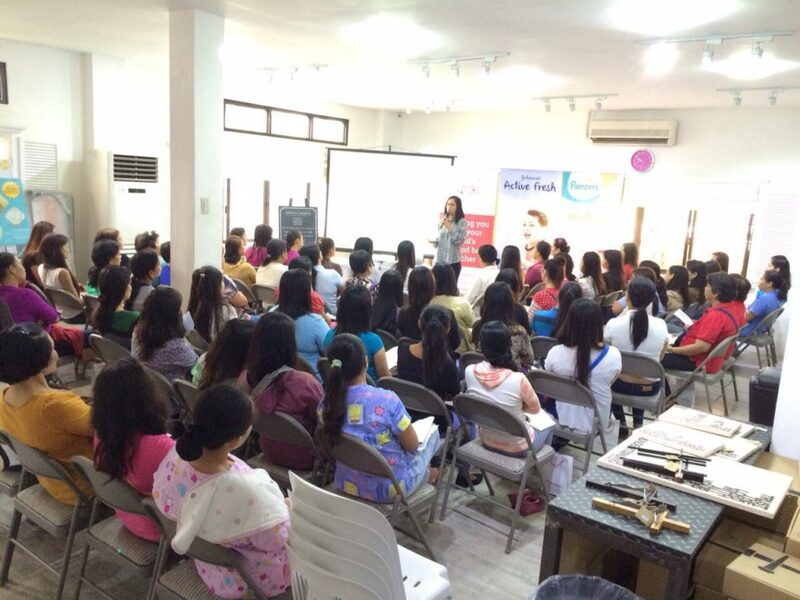 We empower even the busiest working moms to be their children’s first and best teacher. This is really a nice workshop so at least yaya knows her role and importance. I remember the bread making class that I attended last week, househelp yung isa dun. Sosyal di ba, her employer is paying for her cooking and baking class. The employer will have good food too if they send their yaya in cooking and baking class. Ako nga nagkukuripot sa baking class. hehehe! It’s nice how we have these available to nannies na no? Unlike before yung pag aalaga nila sa mga bata is based on their past work experiences or sa utos lang ng employers. At least there are norms/ideals set na to follow. I don’t have a nanny for K but if we do, we’ll definitely have enroll her here. If I’d get a yaya again (that is if I’d work away from home again or a new baby), I will make her attend this workshop. Ang hirap-hirap kayang mag-train ng yaya lalo na kapag wala talagang alam sa pag-aalaga ng bata. Gotta love The Learning Basket workshops! Sayang lang I live so far. This would’ve been very valuable if I still had a yaya! That’s a cool workshop for yayas ! One thing I liked most is that it taught the yayas their value. I think it’s important for the nanny to know that they are valued as persons and trusted by parents that’s why they have their jobs. This is really good for yayas, to help them on how to take care of our kids. After all, it’s our children that matter the most. That’s very nice of you. This workshop will benefit both of you. I believe every nanny should have a proper workshop like this. I love The Learning Basket. 🙂 We no longer hire helpers so we won’t be needing to send anyone to this workshop but I was able to help organize one before (for a different company) and so I had a chance to hear everything that was taught. I really recommend helpers to attend these things. Awww. No more contacts as of now eh. Even my yaya now, it took me almost a year to find 😊 have you tried agencies? Nice workshop! Since we entrust our kids to nannies, it’s only proper that our nannies are well-informed about their role in the child’s life and equipped with adequate knowledge on how to discipline children. Hay after our horror nanny 6 years ago, we stopped hiring. Enough was enough. These seminars weren’t available then. I’ve only heard of yaya cooking classes, but that was just about it. It’s nice to know that your yaya paid attention to the lessons imparted at the seminar and that she’s applying what she learned. I’m happy for you. This is really important especially that we entrust them with our precious ones. I just hope there was this kind of talk/workshop when we had yaya before. Our relationship would have been nicer. Nway, i love workshops like this. Very helpful not just to the attendees but to the parenta as well.